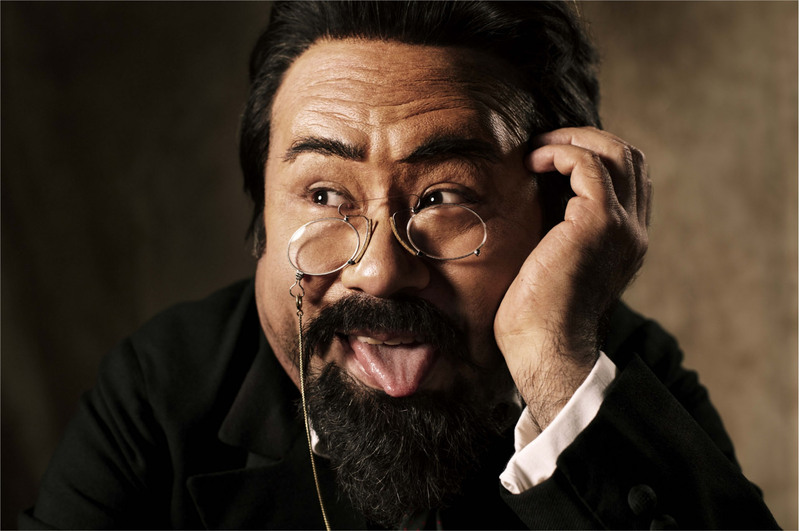 Method acting: Koki Mitani takes on a Chekovian look (of sorts) to accompany his upcoming "The Cherry Orchard." | © PARCO. 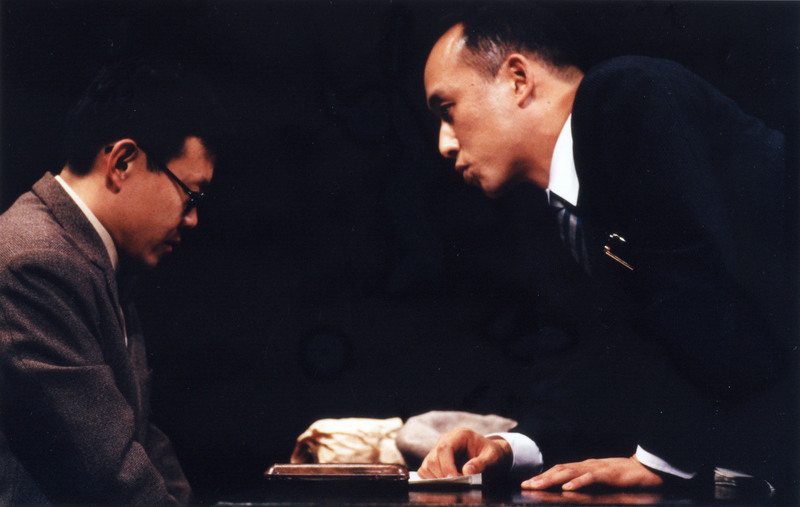 Koki Mitani is far and away the nation’s best-known dramatist. Although theater is quite a niche medium here, most people in Japan — whether male or female, young or not so young, Japanese or not — recognize his face, even if they couldn’t name many of his works. Recently, indeed, I was amazed when a young child sitting next to me in a theater was thrilled to identify Mitani, who was pictured on one of a bunch of handouts disguised as the great Russian playwright and author Anton P. Chekhov. Mitani’s celebrity status is also clear to see in the Japanese-language Wikipedia, where his entry is probably the longest of any native artist — currently spanning 19 pages. 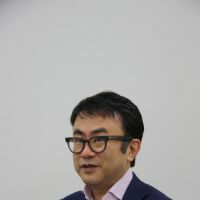 Some might say that’s just because he’s busy in many fields — theater, movies, television dramas and guest appearances — as well as writing a weekly essay column for the Asahi Shimbun daily newspaper. As is the way of the world, if a person is mysterious, others want even more to find out about them — leading to more and more conjectures. This is all the more so if you come across a description of the man online saying how he is funny “in both senses of the word” — i.e. funny ha-ha and funny peculiar. He is, for instance, reluctant to the point of fanaticism about barring anyone from visiting his home. Once, he even refused to let his father-in-law visit when his then-wife was away. Did he do that in all seriousness — or was it the strange sense of humor of a complete one-of-a-kind? For whatever reason, when people in Japan see Mitani’s name or face in the media they will inevitably check to see what he’s been up to lately — and as likely as not find themselves confused the way Takeuchi said she was on his film-set. Now, with barely time to catch his breath, he’s already plunged into what he calls the “second half of his life” with three new, original drama creations opening every consecutive month starting June at his favorite Parco Theater in Tokyo’s central Shibuya district. First off, Mitani squares up for something that may seem astonishing for someone like him — until you remember his own decades of non-stop creative output. In this new challenge, he will for the first time ever direct another writer’s play for the stage: Chekhov’s final work, “The Cherry Orchard,” which premiered in Moscow in 1904 — the year he died, aged 44. With a cast he carefully selected for the occasion, including a long-awaited role for the splendid veteran queen of Japanese films, Ruriko Asaoka, as the aristocratic linchpin of the story, Madame Lyubov Andreievna Ranevskaya, and — in typically surprising fashion — Shinpei Ichikawa, plucked from the shadows of Tokyo’s small-scale theater world to play the new-rich merchant Yermolai Alexeievitch Lopakhin who, though he was born a serf and is devoted to Ranevskaya, snaps up her bankrupt family’s estate and fells her beloved cherry orchard for timber. 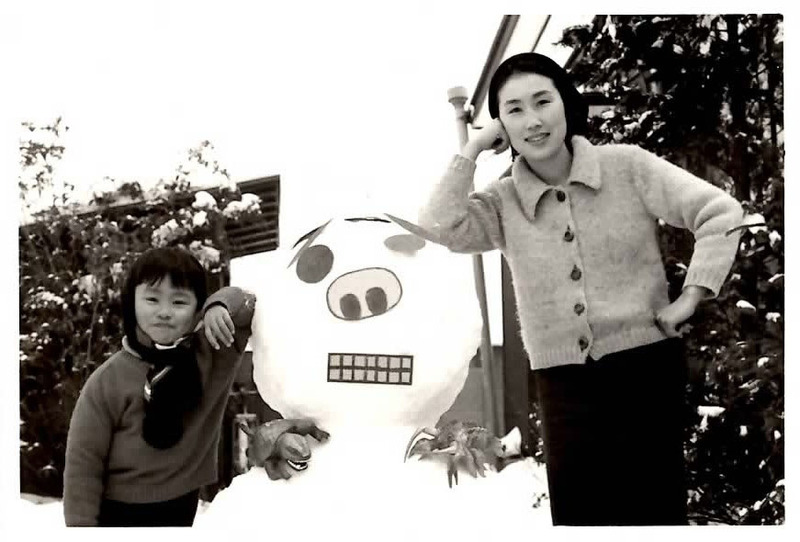 Next month comes the second of Mitani’s three turning-50 challenges — a longish run of “Naniwa Butterfly N.V.,” his play for one actress about the fabled comedienne Chocho Miyako (1920-2000). Playing Miyako will be Keiko Toda, one of Mitani’s most favored actresses who has regularly appeared in his works on both stage and screen. In a suitably ccommemorative spirit, this third rerun of the work will include its centenary performance at Parco. For the third of Mitani’s 50th-birthday challenges, which will be in August, the remarkable showman will present his first-ever performance of bunraku (traditional puppet theater). 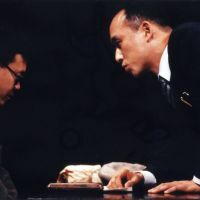 Titled “Sorenari Shinju (So-so Lover’s Suicide),” Mitani wrote and directs this play, which is based on the 1703 masterpiece “Sonezaki Shinju (The Love Suicides at Sonezaki)” by Monzaemon Chikamatsu. Despite facing such a mountain of creative endeavor, Mitani — recently divorced and now living with his long-term pal, a 30-kg Labrador called Tobi — walked into the interview room at a rehearsal studios complex in Nishi Shinjuku looking his usual shy and rather self-effacing out-of-the-spotlight self — though with a distinct twinkle in his eye. Did you really present your first original play at age 10 at school? I was exactly like a hero of the hit Hollywood animation movie “Toy Story.” Like the toys’ owner, Andy, I was a child of a family with no ?father around, because mine died when I was very young, and I would play with my toys all day. Making stories with my little soldier figures has brought me to where I am today. Iwas offered the chance to write a script for an NHK TV puppet program titled “The Three Masketeers” in 2009, and then — at last — I got an offer to write a new bunraku play for this August. This is all amazing for me. So, I’ve continued to do my favorite thing for nearly 50 years, ever since I used to be absorbed playing with my dolls by myself in my room — and nowadays I can do that as my job. I don’t have any hobbies or special interests besides my work — I’ve just only been doing the same thing since my childhood. What else did you like to play when you were young? I often watched foreign movies, such Billy Wilder’s comedies and Sidney Lumet’s 1957 courtroom drama “12 Angry Men” and “The Wages of Fear” (1953), with Yves Montand, on late-evening TV. I recorded them and bought soundtrack albums and remembered all the lines and songs. One day, I re-enacted a scene from my favorite foreign film “The Great Escape” (’63) at school. In the film, British prisoners of war dig tunnels to escape from their prison camp. When the tunnel’s nearly done, the Germans find it and in the ensuing panic and confusion a fainthearted prisoner rushes screaming into the fence and is shot dead by the guards. So I acted out that scene at a morning gathering in the playground at school: I suddenly ran to the fence and pretended be shot dead for a while. I suppose, I might have seemed a bit weird, though I was somehow a popular prize-winning pupil as I remember it (Laughs). How did you feel when you revisited the Showa Era (1926-89) in which you grew up for the 2010 TV family-life drama “Wagaya no Rekishi (The History of my Family)”? Of course, I put my personal memory into that a bit, but I set the time of the drama between 1927-1964, which is a bit earlier than my actual life. I definitely didn’t want to make a nostalgic sepia-color drama. I think that people then lived their lives both desperately and earnestly, and I wanted to present a vivid drama, not a sweet memory. But I always take that approach with dramas from any period. In the case of “Shinsengumi!,” for instance, which is set in the last days of the Tokugawa Shogunate in the 1850s and ’60s, I tried to show the real vitality of samurai to today’s viewers in a living, vivid way, and not just depict them like characters in a history book. My job is, I suppose, to get close to those people and create lively entertainment through their stories, that’s my job, I suppose. Does that apply just the same when you present classics, such Shakespeare or Chekhov plays? I am now mainly working as a live theater creator; I don’t want to leave my plays as printed material, so I usually don’t publish the texts. That’s because I usually write my plays for particular actors who will be working with me for that particular live performance. We also perform plays for a certain audience, so we make the performance for the audiences while in the auditorium. I don’t care about the people 100 years from now, but comedy changes day by day, so I don’t think the people in 100 years will have the same sense of humor as people in 2012. This idea that theater is one-time-only, live and unreproducible art form, is my basis for creation. My duty is to make today’s audiences laugh — not people in the future. For example, when I read the work of the great comedy writer Sakae Kikuya (1902-37), who was actually a model for the hero of my 1996 play “Warai no Daigaku (The Last Laugh),” I’ve thought it’s not so funny. But I think that’s an inevitable and natural thing about comedy, and I’m sure Kikuya’s plays provoked roars of laughter in his day. Some directors treat “The Cherry Orchard” as a tragedy, but you firmly declared that your staging of the play would be a comedy. Why was that? Chekhov himself clearly declared both “The Cherry Orchard” and “The Seagull” to be comediesand many previous productions have taken that word “comedy” to mean a human comedy including a tragicomedy and pathos. However, I read it as true comedy. I found many lines that I think Chekhov wrote to make the audiences laugh, so I simply read through the text and made it as a simple comedy. Did you change the text? Because I do want it to be clearly Chekhov’s play, I toned down some of the overly translated lines to make it sound as much as possible like the natural spoken language. I think a translator’s tone can easily destroy the comedy element. I also adjusted some 19th-century Russian jokes to make them relevant to today’s audiences. But I would never add any new episodes. As much as my play is an adaptation, it was created for the sake of realizing the true essence of Chekhov’s “comedy,” and I have tweaked some lines to bring out the play’s essential comedy nature. For today’s audiences in Tokyo, to keep a smooth comedy flow all the way through, I will make the play two hours long. That way, it won’t have an interval and it will run speedily from start to finish. I suppose Chekhov wrote this play with certain actors at the Moscow Art Theatre in mind. So, some laughing scenes would have happened only because of those Russian actors’ own characters. That means I now have to make up new characters for my Japanese actors, and I need to imagine and shape the best characters to fit the actors — as well as retain Chekhov’s original intentions. Why is Chekhov, and especially “The Cherry Orchard,” so popular in Japan — especially as it is often mistaken as a tragedy, as you said. It’s not only in Japan, but audiences everywhere in the world tend to be deeply attracted by the tragic heroine, the ruined landowners and Ranevskaya’s overpowering grief. And though the play is certainly a comedy, it also powerfully describes human’s grief and sense of loss. For example, when Ranevskaya’s older brother Gayev (Takashi Fujiki) comes back from an auction at which the mansion and its cherry orchard have just been sold for a knock-down price, he returns in tears as he reports what happened. Then he hands a bag of anchovies to the servant. Can you believe that? I think it’s hilariously funny — but also it’s very sad. So, mostly, Japanese productions have focused on that sad side only — without capturing the funny “anchovy moment.” Probably, because Japanese audience preference leans toward tragedy, that treatment has been a better fit. Anyhow, I believe there are both sad and funny elements in this play, so I want to uncover the long-forgotten funny parts and present both. I think the grief becomes deeper by dint of drawing attention to people’s naturally ridiculous side. You staged your original musical play “Talk Like Singing” at an off-Broadway venue in 2009. What did you lear n from your experience in New York? To be honest, I think I nearly bit off more than I could chew, so I can’t say it’s necessarily true that it was a perfect performance. However, I had to do it, so I learned a lot from that experience. I recognized that the biggest problem was the translation — namely the culture differences within language. I remember that some parts, which I thought foreigners would relate to with their sense of humor, didn’t work well in New York as I’d expected. 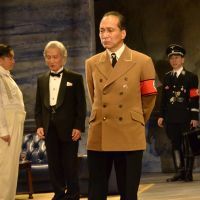 As a result of that, one of the actors, Jay Kabira — who is bilingual in English and Japanese — adjusted the English lines and subtitles day by day in response to the American audiences’ reactions during the performance. That made me realize that, in future, I would need to spend lots of time making those kinds of adjustments in order to present a performance in living, colloquial English. So it’s always going to be important to find a translator who’s really in tune with my sense of humor. So that New York experience really made it clear to me what the important points are about running a Japanese play in a Western country. Consequently, I now feel quite positive about staging my work successfully in such circumstances. Are you thinking about presenting further performances in foreign countries? In film-making, I always think I want to export my work to other countries and show it to foreigners, so I usually take on a film having considered how I can entertain foreign viewers. That is my one big goal with movie production, though I’m not at all interested in becoming famous in Hollywood. 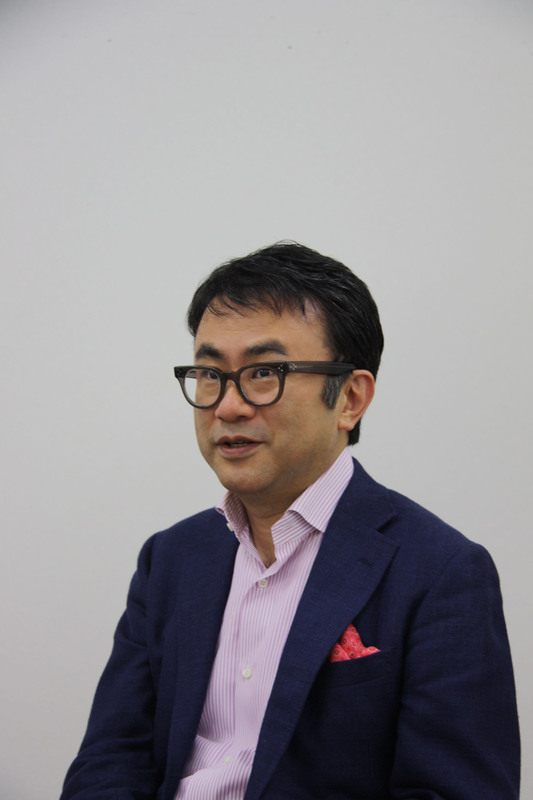 When my first movie, “Rajio no Jikan (Welcome Back, Mr. McDonald),” was shown at the Berlin International Film Festival in 1998, the cinema erupted into loud bursts of laughter that swirled all around, and the jokes I included in my guest speech were a great hit. Afterward, many local participants said they hadn’t realized that there were Japanese films that were so funny and could make them laugh so much. 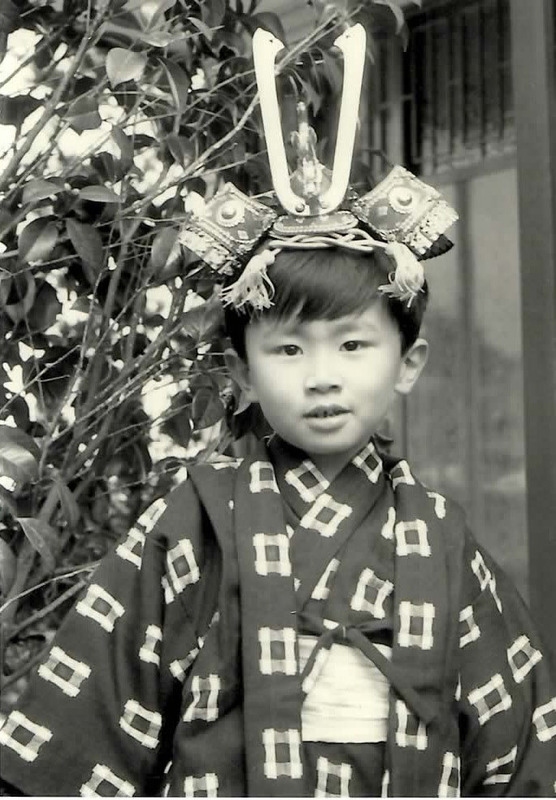 They had the idea that Japanese films were usually tragedies or ones that dealt with serious matters. But even more than that, they said they’d never expected a Japanese person to make a joke on the podium. Then the reactions were the same when my film was shown in London and also in Russia, Toronto, Hong Kong, Taipei and Seoul. As a result, I’m now doubly determined to let all foreigners know that we Japanese also love comedy and can create just as funny comedy as they can. That is why I dearly want to export my films to other countries. How do you rate comedy from overseas nowadays? Well, compared with the 1940s and ’50s golden age of Hollywood comedy movies — the ones on which I was actually brought up as a comedy writer — today’s Hollywood comedy is not so funny. In fact, I think Japan’s comedy is now of a better quality. Consequently, I really want to emphasize to the world that my comedies are made in Japan, and that that should be part of their appeal. Actually, I have the same feeling regarding theater. When my plays “Warai no Daigaku” and “Kimito nara (If I am with You)” were presented in translation in South Korea with Korean actresses, the audiences there enjoyed them and laughed a lot. So I think that if my plays are carefully translated and directed well for each nation, people in any country can enjoy them. Hence if I’m given the opportunities, I’ll be very pleased to stage my plays in foreign countries. Why do you still work so hard for the theater, in films and on TV, because you’re obviously well beyond having to? For me, theater and filming are clearly divided as completely different types of work. First of all, the numbers in the target audiences are vastly different. That’s because even if a monthlong run at the Parco theater sold out completely, that only represents about 15,000 to 20,000 people; while a successful movie attracts audiences in the millions — and even billions might see a popular TV program. Inevitably, I select each subject for the right medium or media, so I intentionally make theater with the most effective themes for the stage and in the best methods of theater creation. As I work in the fields of both stage and screen, though, I know the merits of each of those and so naturally I sometimes mix those methods. Sometimes, people criticize my films for being too theatrical — I guess they say so because I often use long takes in shooting, as you’d generally view a play on stage. However, I think such a distinctive quality is part of my true artistic value. For example, I shot a two-hour TV drama titled “Short Cut” last year, and I took the entire thing as one scene without any cuts or stops. The hero and heroine walk and talk in a forest for two hours, and I filmed it as one sequence. Such a crazy idea could only come from a person like me who has work experience of stage and screen. Do you feel any disadvantage being Japanese and making comedy in today’s global market? Yes and no, or more or less; because there are even differences in comedy between countries using the same language, such as with British and American sitcoms, which definitely have a different sense of humor. On the other hand, I think the differences in comedy are few, and I believe any human being anywhere can be amused by other human beings. People are only interested in people. If you go to a zoo, you’ll see lots of people laughing at the apes’ carryings-on, but the number of people laughing at the bears would be fewer, then fewer still would be laughing at turtles or snakes and almost nobody would be laughing at plants. So, people tend to laugh at animals in which they see similar attitudes and behavior to their own kind. In a similar sense, people from any nation could share enjoyment of the same play if it appropriately depicts the true nature of humans. I really believe so. That’s why I have a positive view toward presenting my plays in other countries — and that’s why I can enjoy a lot of ’50s Hollywood movies. Why do you think comedy is so important for people? When I’m asked why I have such an obsession with comedy, I always answer that comedy has definitely given me personally huge encouragement in my life — so I would like to give that to others. One day, I locked myself in a hotel room to work because I was stuck and I was right up against a deadlinet. If I couldn’t finish the script by the next morning, the TV filming would be canceled. I had a complete block and as morning drew near I still hadn’t been able to write a line. In fact, I felt so down that I briefly thought about committing suicide. Then I switched on the TV and it was a “Mr. Bean” program. It was maybe the first showing of his (British comedian Rowan Atkinson) program on NHK, so I didn’t know about him. But anyhow, it was hilariously funny and once I realized I was laughing in front of the TV, I got the energy back to continue my work. I imagine that if I’d switched on and it had been another program instead, like “The Godfather” for example … I am not sure whether I would be here or not now. When the Great East Japan Earthquake struck the Tohoku region on March 11 last year, you were just in the middle of the run of a new play of yours titled “Kokumin no Eiga (Nation’s Movie).” How has the disaster affected you? In practical terms, we had to cancel two nights’ performances. Then I talked to the audiences from the stage every night and explained that we had decided to run the performance if even one person came to see the play. I said I believed it was our duty, and theater people’s important role, to keep presenting plays and so encourage people to get back to their ordinary lives as soon as possible. 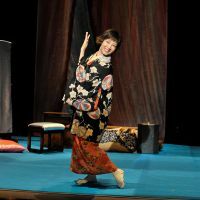 How did you manage to bolster prople’s spirits after that, when your next play, “Bedge Pardon,” was about novelist Natsume Soseki’s miserable 1901-03 sojourn in London? Well yes, the disaster affected “Bedge Pardon” more than the play before, as it was the famous story of how Soseki got very depressed and stayed in his room most of the time he was there. 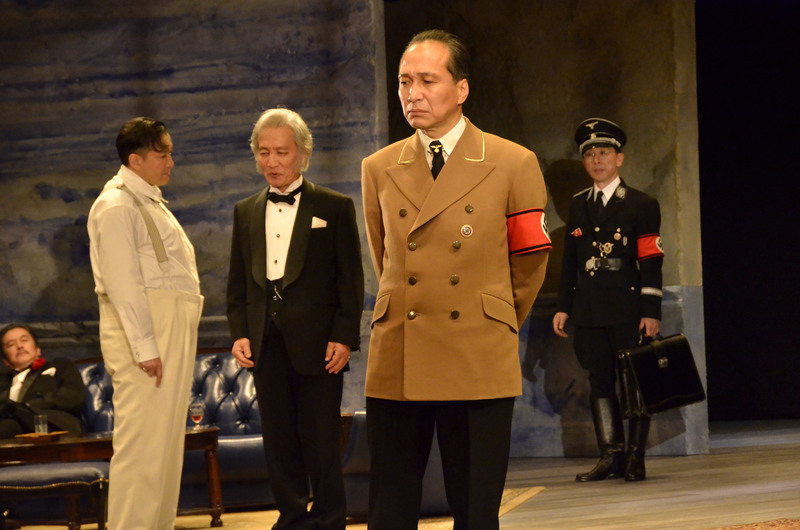 So I started writing the play in a dark tone, but as the one before, “Kokumin no Eiga” was a serious human drama about the Nazis, I wanted to do a very funny comedy — especially as many people were still depressed after 3/11. Consequently, “Bedge Pardon” became a bit of a stretch from the truth, and none too smooth, but I thought that was the play we should perform at that time. And audiences burst out laughing in the theater, so I am pleased I made those changes, even though maybe it’s not as perfect a work as a text. In response to the disasters, some dramatists wrote plays directly about the crises at the Fukushima No. 1 nuclear power plant, or about the tsunami. I know there are many different kinds of response, but I would never react in that way. I recognize my duty is continuing to write comedies just as I’ve always done. “The Cherry Orchard” runs June 9-July 8 at Parco Theater in Shibuya, Tokyo. It then tours to Osaka and Kanagawa. 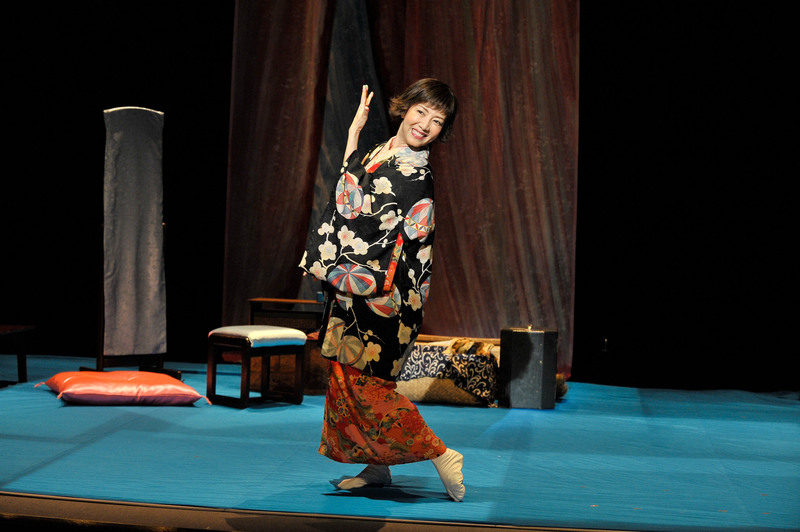 “Naniwa Butterfly N.V. ” runs July 11-22 at Parco Theater. It then tours to Osaka, Sendai, Sapporo, Mito, Nagoya, Kanazawa, Takamatsu and Fukuoka till Aug. 12. “Sorenari Shinju” runs Aug. 11-22 at Parco Theater. For more details, call the Parco Theatre on (03) 3477-5857, or visit www.parco-play.com.